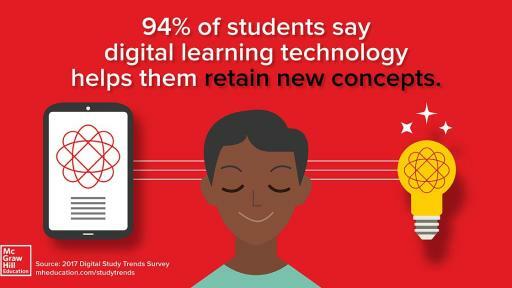 NEW YORK – (November 1, 2017) – Learning science company McGraw-Hill Education today announced the results of its fourth annual Digital Study Trends Survey, offering fresh insights into college students’ preferences and habits for using technology in the classroom and beyond. 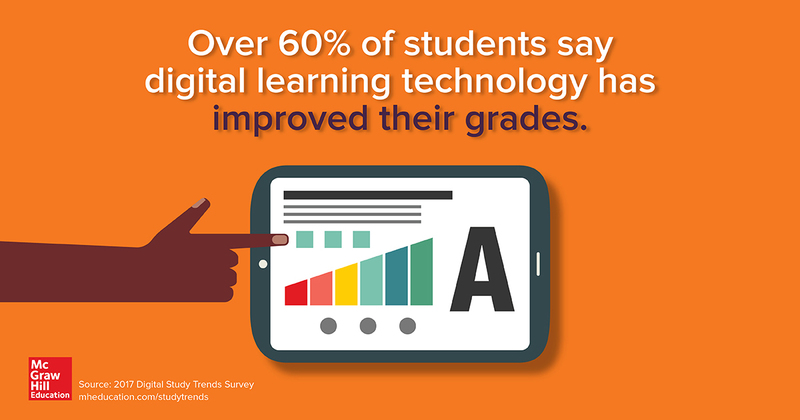 The latest results, compiled by Hanover Research from the responses of more than 1,000 U.S. college students, show an overwhelming majority of students feel digital learning technology has positively affected their schoolwork – aiding concept retention and improving grades – and that more than half (53 percent) of students prefer classes that use such tools. 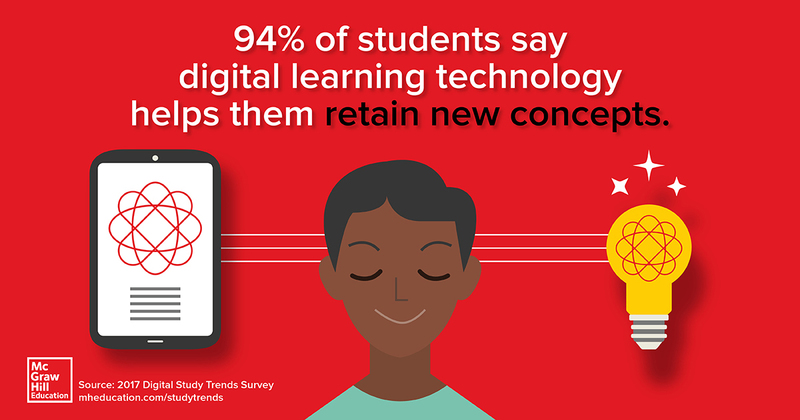 Ninety-four percent of students said digital learning technology has helped them retain new concepts (with 30 percent indicating that technology was extremely helpful), and more than half of the students think digital learning technology helped them better understand concepts they didn’t know. A solid majority (60 percent) of students feel that digital learning technology has improved their grades, with a fifth saying it “significantly” improved their grades. Students in STEM majors were the most likely to say technology positively affected their grades. Approximately 60 percent of students agree that digital learning technology increased their engagement with course materials. 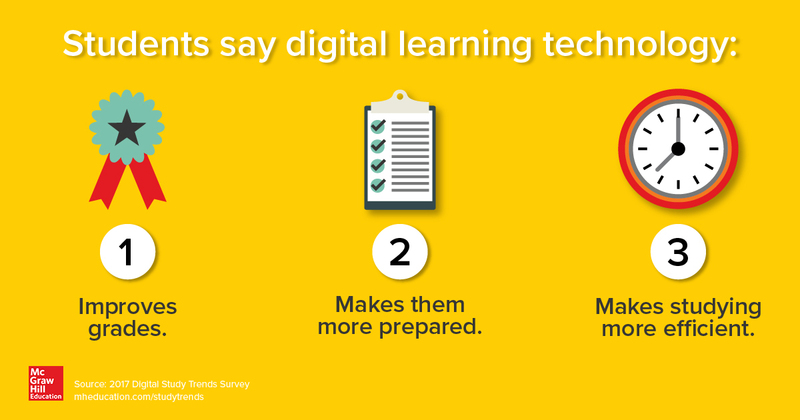 More than 62 percent of students agreed that digital learning technology is extremely or very helpful in preparing for tests and exams. 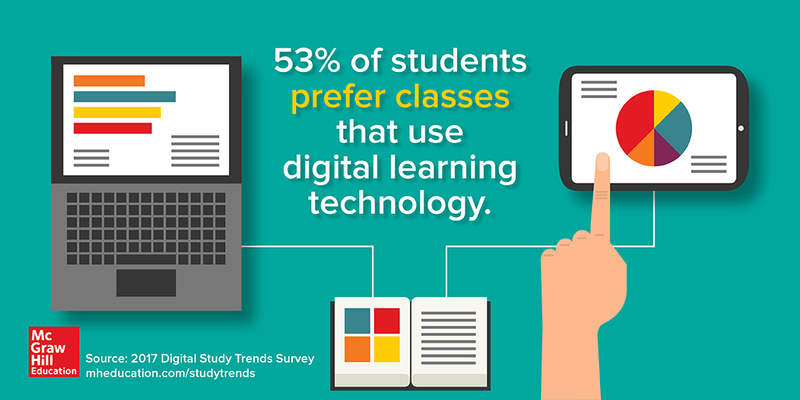 More than 66 percent of students agreed that digital learning technology is extremely or very helpful in completing assignments. 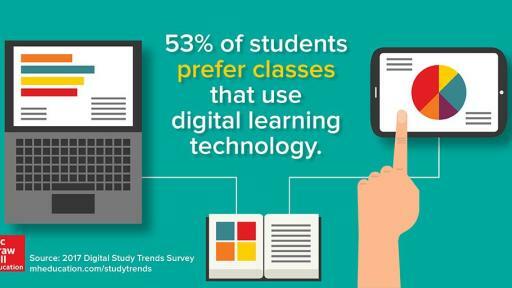 Nearly 59 percent of students agreed that digital learning technology is extremely or very helpful for self-study. Students in STEM fields were more likely to report an improvement in grades from using technology: 72 percent of respondents in physical sciences, 65 percent of respondents in biological sciences, and 64 percent of students in engineering, math and computer science. 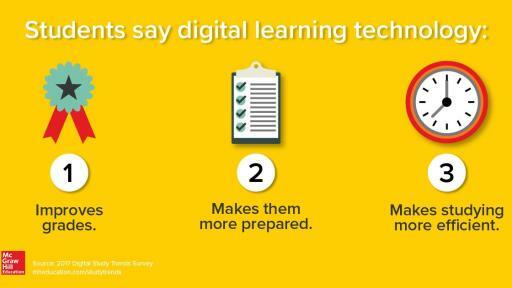 Fifty-eight percent of biological and life sciences students and 54 percent of health profession students reported that digital learning technology made them better-prepared for the classroom, compared to 46 percent of respondents overall. Fifty-four percent of biological and life sciences students and 53 percent of math and computer science students agree that digital learning technology improved their studying efficiency, compared to 47 percent of students overall. Survey results also showed that the majority of students were using digital tools to complete homework assignments and prepare for exams. 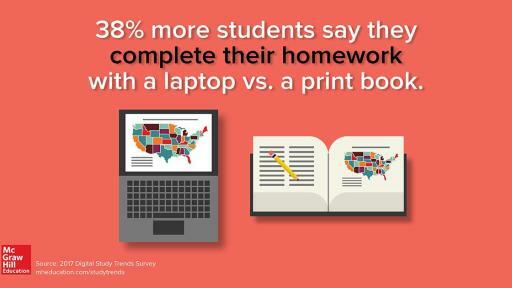 Eighty-two percent of survey respondents reported using laptops for homework assignments, compared to 59 percent using print materials. 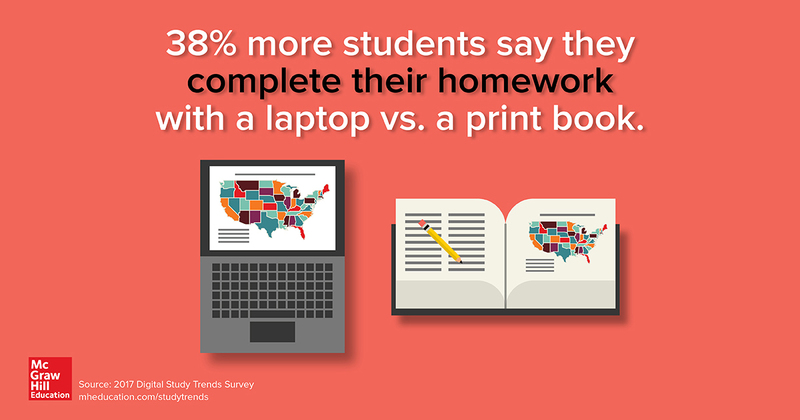 70 percent of students reported using laptops for test/exam preparation, while 69 percent use print materials. While the vast majority of students had smartphones, only about 38 percent of the students used smartphones to complete homework assignments and study for exams. McGraw-Hill Education is a learning science company that delivers personalized learning experiences that help students, parents, educators and professionals drive results. McGraw-Hill Education has offices across North America, India, China, Europe, the Middle East and South America, and makes its learning solutions available in more than 60 languages. Visit us at mheducation.com or find us on Facebook or Twitter.